Residents have been flocking to Impulse Hair and Beauty Salon on Hallcroft Road in Retford to buy hand-knitted chicks and help raise money for Bransby Horses. More than 3,000 Easter chicks were knitted by supporters of the charity and the team at Impulse have since been selling the chicks, with chocolate eggs inside, to customers and passers-by. Enthusiastic knitters from across the country have been busy creating the colourful creatures since December with boxes of the little woollen gifts arriving at Bransby Horses from January. 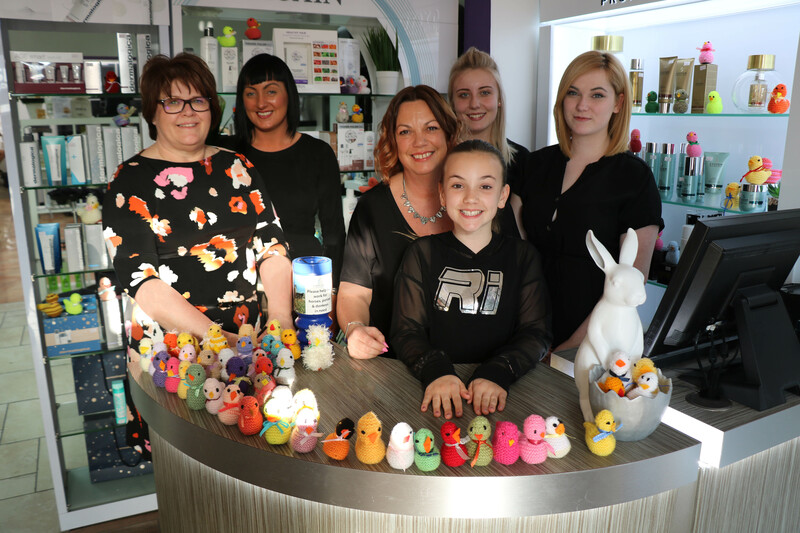 Impulse Hair and Beauty were keen to get their hands on the chicks, to sell in their salon in the lead up to Easter and also raise funds for the charity. Local community fundraising is one of the most important aspects of monetary support that Bransby Horses receives, spreading awareness of the charity and giving a much-needed boost to the charity’s funds so the team can continue their work. Bransby Horses relies entirely on the support of the public, with no statutory funding, meaning every penny be put to the best use possible, helping horses, donkeys and mules in need.